This post – your words – completely captured what being a writer is all about. Now and always, I want only the best for you and your MTL characters this year. 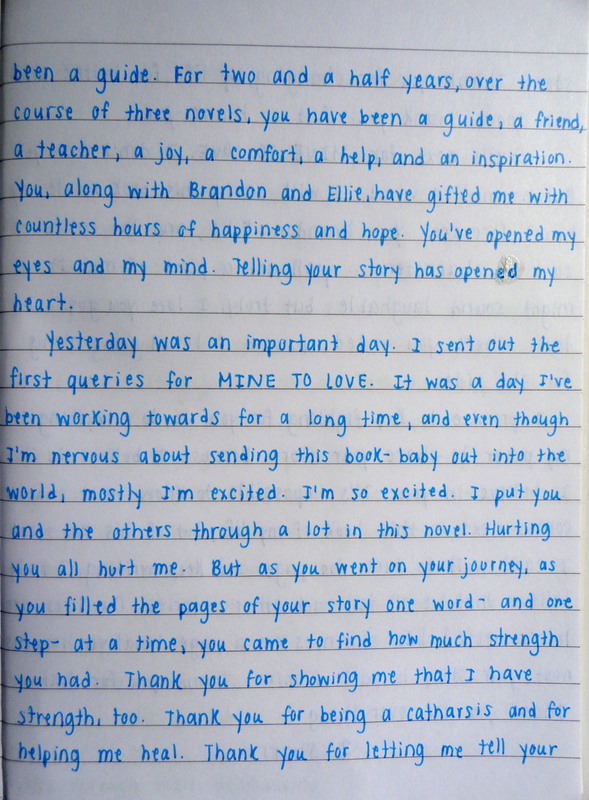 Thank you, thank you, thank you – for the kind words and for reading MTL. It means the world, truly. I love this, Shari. I can feel your feelings radiating off the screen. It’s impossible not to have faith in that. You have incredibly good handwriting. 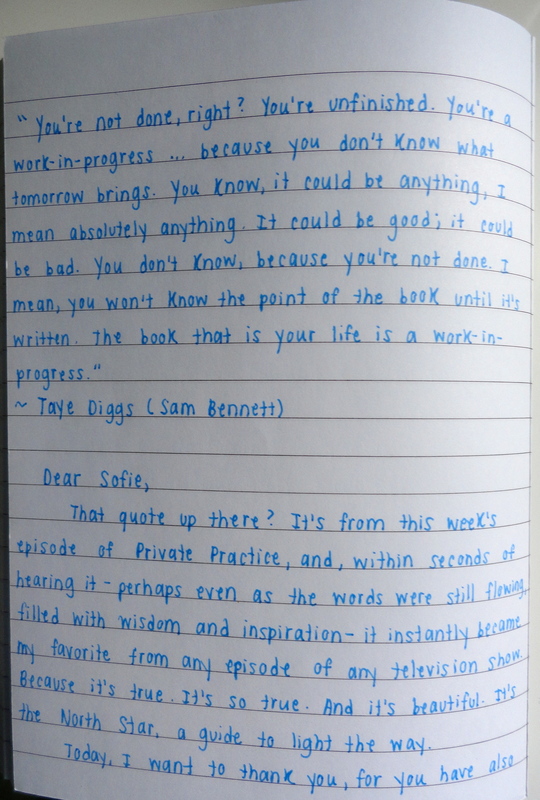 That’s funny that Private Practice was so inspiring – you never know where you’ll find it. I love that – the idea of inspiration just waiting for us around every bend, hiding in a myriad of places that we don’t expect. Private Practice has been one of my favorite shows since it debuted (so bummed it’s ending this week! ), and this just took it to a whole other level! BEAUTIFUL. I’m copying this quote and pasting it on a sticky next to my computer so I can read it whenever I open my stories. I love your letter (AND your handwriting) and you’ve inspired me to do something like this myself! Love it! What a great idea. 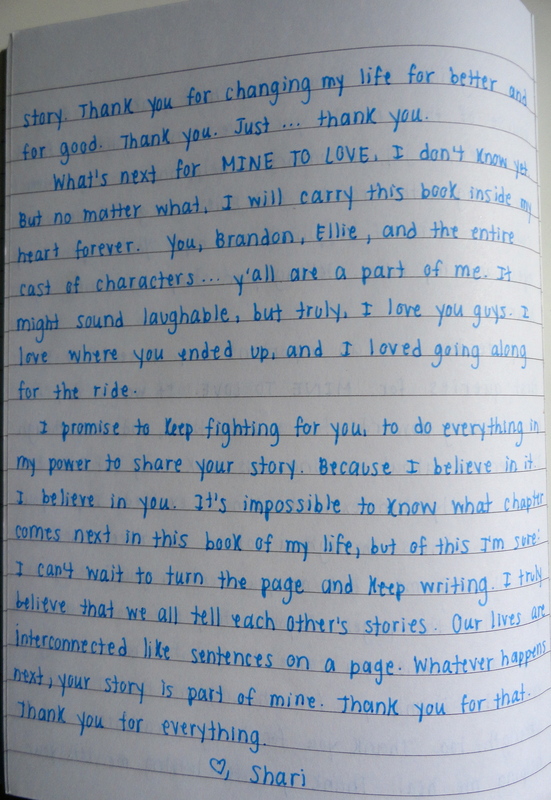 And I’m with Julie; I envy your perfect handwriting.